I’m making an effort this year to read more books I already own. Like many readers, I’m a collector, and it gives me joy to buy books, receive them as gifts, and check them out of the library, but it can lead to a bit of a backlog since I know I can get to the books already on my shelf anytime. Of course, as new and shiny books are continually released, “anytime” doesn’t ever seem to come! So I decided to make “anytime” happen for my already-owned books with a few fun challenges. This time I’ve got for you three books that all have the word “stars” in the title. As you might guess, a couple of them are sci-fi, including a space opera and an alternate history with lady astronauts, and the other is about a pregnant woman who escapes from her baby daddy in a stolen van. So yeah, plenty of variety here, which is one of the things I’m really enjoying about these challenges. 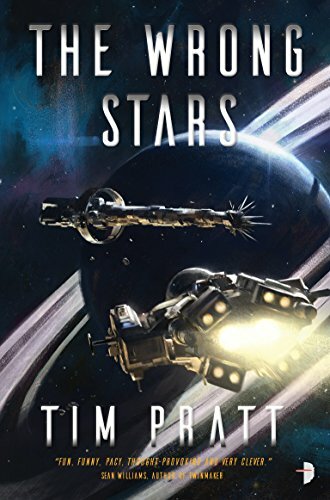 A fun, fast-paced space opera with an element of mystery that will keep you turning pages. Callie is captain of the White Raven, a salvage ship. Her crew discovers a wreck—or rather, one appears in a way that shouldn’t be physically possible—and in it, a human who’s been cryogenically frozen for centuries. When they thaw her out, Elena has what she thinks is big news: humans have made contact with alien life! Sadly, she’s a bit behind the times after her freezer nap, as Callie and crew explain that humans have been in contact with aliens for years, and relations are good. But of course there’s more to the story than that, and Elena and her ship may be the spark that lights the fuse, so to speak. Lots of diverse characters here, which I loved, and definitely a scrappy us-against-the-universe vibe among the crewmembers, which I’m starting to think may be a hallmark of space operas—I haven’t read a ton of them, but the ones I have come across all seem to place a high value on team chemistry. Makes me want to run around high-fiving people, if not blast into space myself. 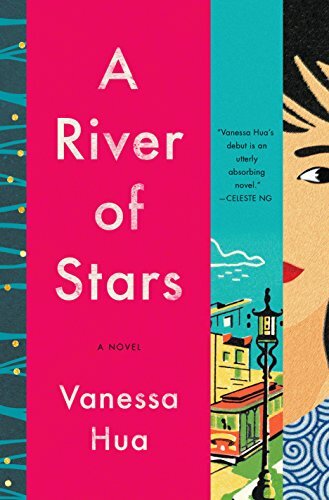 This book was stressful to read because the setup is so dire: Scarlett Chen is pregnant and living in Los Angeles with other Chinese moms-to-be. She was sent there by her boss, who is also the father of her child. He has only daughters with his wife, but when he finds out that Scarlett is having a boy, he wants his son to be born on American soil. When Scarlett finds out her baby is not the much wished for male heir after all, she makes a desperate escape in the maternity home’s van, with a pregnant teenage stowaway in the back. There are comic moments here, and some of the scenes even have a cinematic quality to them (I’m thinking specifically of a scene in which one very pregnant woman chases another around a rest stop parking lot), but Scarlett’s plight felt very real to me and I was deathly worried about her throughout. This book has important things to say about immigration, poverty, and women’s agency to control their own lives. 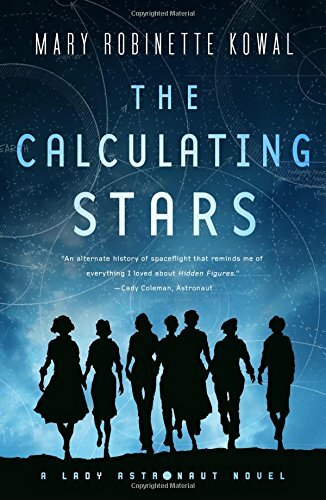 Feministy alternate history set in the 1950s with women mathematicians, pilots, and astronauts? How about yes. A meteorite destroys Washington, D.C., but even worse than that, the ensuing climate changes are going to make Earth inhospitable to life. Elma and her husband work for the space program, he as an administrator and she as a computer, or mathematician. However, Elma’s experience as a pilot in WW2 makes her an excellent candidate for astronaut training—or it would, if she were a man. Somehow the misogynists in charge think they’ll be able to colonize the moon without the help of any women. It’s one of the ways this book is almost too realistic—even after an extinction event, old biases still persist. And biases of all kinds: Elma is treated derisively because she’s Jewish, her black and Asian friends are even less likely to be considered for training than she is as a white woman, and even when presented with conclusive scientific evidence, some people refuse to believe that the human race is done for unless they get the hell off of Earth. (“But the weather’s so nice today!”—Where have we heard this before, I wonder?) With all that, this is possibly the least escapist sci-fi I’ve ever read, but the girl power factor makes it worth it. Romance is the perfect pick-me-up--there’s realistic conflict, but you can always count on the HEA (happily ever after). There’s so much variety out there, too, you could read a new romance every day and barely scratch the surface. 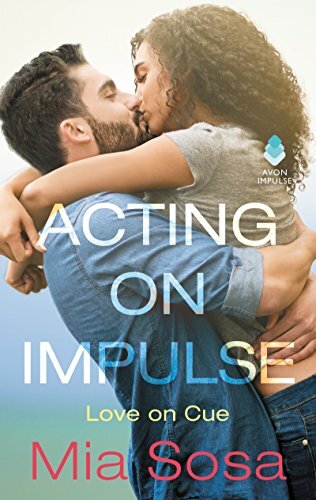 Turn Up the Heat is a recurring feature in which I round up some of the best romances I’ve read lately. This time I’ve got an athletic trainer who falls for a Hollywood actor, urban Native Americans who are passionate about social justice, a second chance romance between a rapper and his manager, a hero who works in a chocolate shop, and two historical romances featuring marginalized characters. Let’s get to it! A fun interracial romance with Hollywood vibes. Tori is a no-nonsense personal trainer who meets a cute guy on a plane to Aruba. 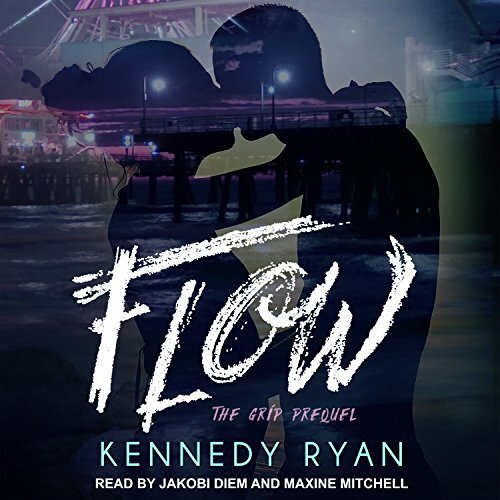 She’s on vacation to forget her ex and has no intention of pursuing anything with Carter, but he’s driving hard to the hoop and she finds she has trouble resisting him. What she doesn’t realize is he’s a famous Hollywood actor, rendered unrecognizable due to a physical transformation he undertook for a role. When the truth comes out, Tori doesn’t want anything to do with him, but it turns out Carter is in need of a personal trainer to build his muscles back up—and Tori is the only person he wants for the job. 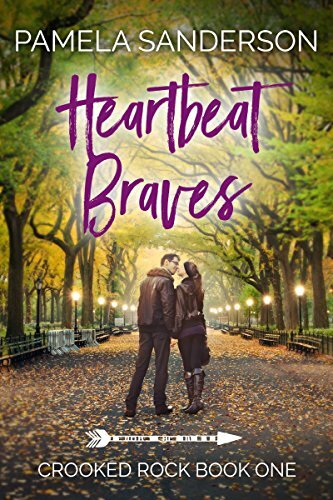 I’ve been looking for romance by and about Native Americans for a while now, and I was SO TICKLED to find Heartbeat Braves thanks to the Book Riot romance newsletter. It’s set at an urban Indian center and the heroine, Rayanne, has a passion for elder care and helping indigenous people who live in her city. Unfortunately, the center is chronically underfunded and struggling to get the momentum to complete projects. When a prominent board member hires his nephew Henry to fill a position Rayanne thought would be hers, Rayanne has to bite her tongue, swallow her pride, and help the clueless newbie in order to keep the center up and going. The thing is, Henry’s not a bad guy, and Rayanne’s enthusiasm for the work is contagious. Sparks will fly and people who need help will be served! Social justice + new love = an unstoppable combo. These two books are best read together, as Grip is a second chance romance and Flow is a prequel that tells the story of how the characters first met and fell in love before circumstances drove them apart. Grip (real name Marlon) is Bristol’s brother’s best friend, and when they first meet they’re young and trying to figure out their lives. Grip dates a lot of women but famously never settles down, and that reputation is what ultimately keeps the two apart despite an amazing few days they share when Bristol comes for a visit. It’s the kind of instant connection you don’t find very often, and neither of them can stop thinking about it even years later, once Grip is a successful recording artist and Bristol is his manager. Beyond the angsty love story, you’ll also get a thoughtful and nuanced discussion of the tensions between police and people of color (which is one of the main reasons I love romance—there’s so much more going on than you might expect). A romance in which one of the heroes works in a Swedish chocolate shop! Can you even?! I had a smile on my face from the first page to the last. Michal doesn’t have much going on in the romance department, but he does have an online friend named Magnus who lives in Germany. Magnus wants to meet, but Michal puts him off--what if their online chemistry doesn’t hold up in real life? 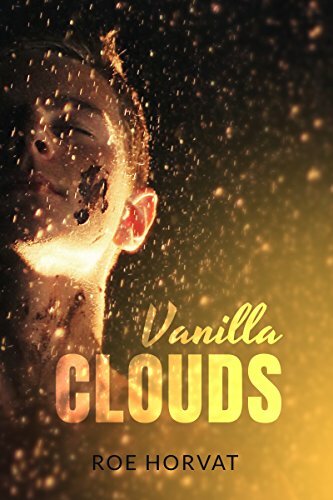 When a handsome stranger comes into the shop and asks him out, Michal decides to take a chance--but even as he’s falling for someone new, he can’t stop thinking about Magnus. Don’t tell me romance isn’t real literature! This is the best of what historical fiction can be. An Unconditional Freedom is the third and final book in the Loyal League series, which follows members of a secret society fighting against slavery during the Civil War. In this book, Daniel Cumberland was born free but captured and sold into slavery. He’s now free again and working for the Loyal League, but his experiences have left scars both visible and invisible. He’s assigned to work a case with a new agent, Janeta Sanchez, a Cuban immigrant who is secretly a spy for the Confederacy. This is very much an against-all-odds romance, considering the tumultuous time in history, the danger of the characters’ jobs, their different cultures and experiences, and the fact that they start out on different sides of the war. Only a talent like Alyssa Cole’s could pull these two together. A polyamorous historical set in early 1900s London, with more complicated upper-class/lower-class drama than you can shake a stick at. 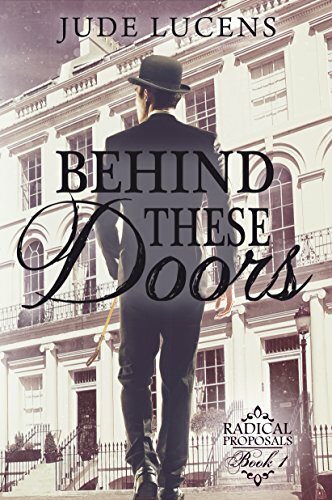 Aubrey is already in a fulfilling but necessarily secret relationship with his old school friend and his wife, but when he meets Lucien, a journalist, he’s immediately intrigued. It takes a lot to negotiate how the various relationships will work, especially because the society of the time so strictly dictates what is and is not acceptable, but Aubrey is a big-hearted, sweet, and kind person, and he’s willing to listen when Lucien confronts him about the ways privilege has made him blind.